The Catholic faith has a deep and lasting legacy in the history of the Hungarian people. 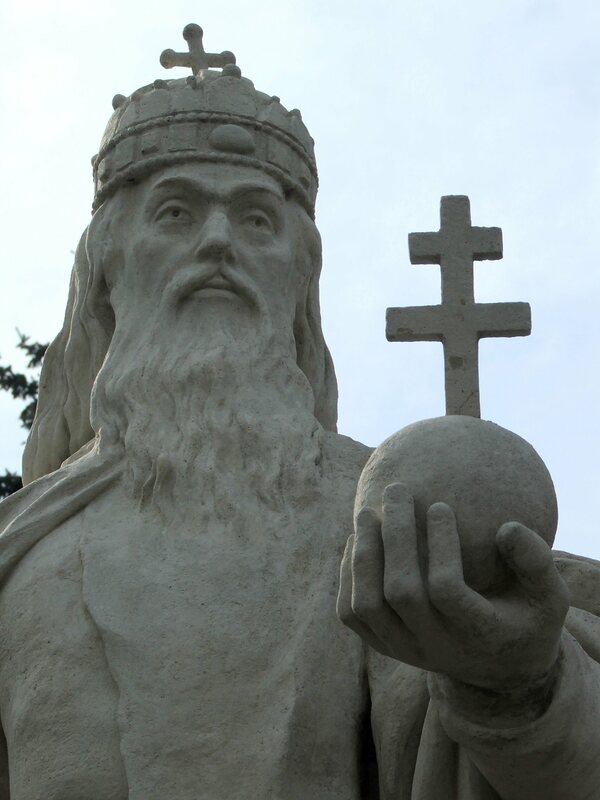 Not too many nations can boast of the canonization of one of their former monarchs as Hungary can of its beloved King St. Stephen. Today, November 17, we remember another beloved Hungarian saint, although unlike King St. Stephen, she never actually lived in what is now considered present-day Hungary. This 13th century queen-turned-Franciscan-tertiary is remembered as St. Elizabeth of Hungary (Szent Erzsébet in Hungarian) although she was born in the area that is now known as Bratislava, Slovakia (then part of the Austro-Hungarian empire). Elizabeth was promised in marriage to a prince and at the age of four went to live with his family in what is now Marburg, Germany. Despite her royal status, she lived a life of generosity and simplicity committed to the works of mercy as inspired by St. Francis of Assisi. 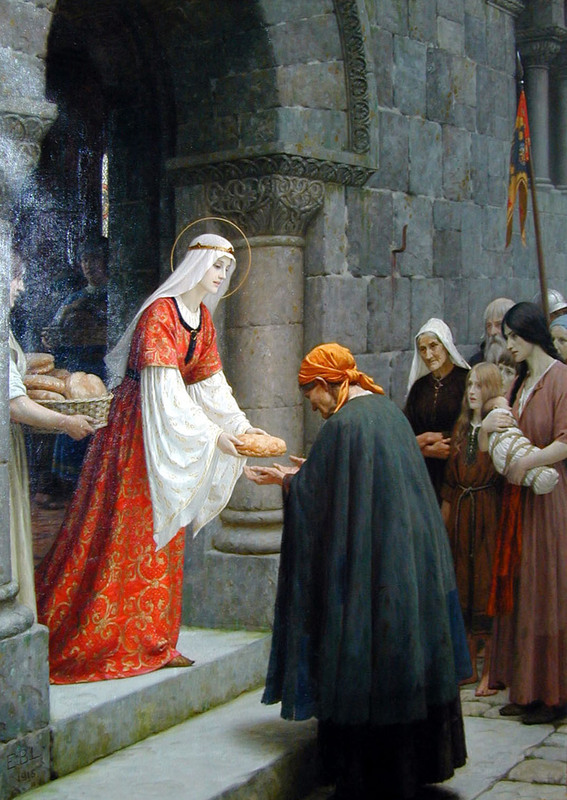 Being named Lisa (which derives from Elizabeth) and having Hungarian heritage, I’ve adopted St. Elizabeth of Hungary as one of my patron saints. Today as I celebrate both my Hungarian heritage and the feast day of this holy young queen, I’d like to take you on a tour of the Hungarian Roman Catholic genealogy resources which are central to every genealogist’s search for ancestors in Hungary, no matter what faith they practiced. Anyone searching for vital records in Hungary before 1895 will have to rely on church records. Civil registration in the Austro-Hungarian Empire did not begin until that year. 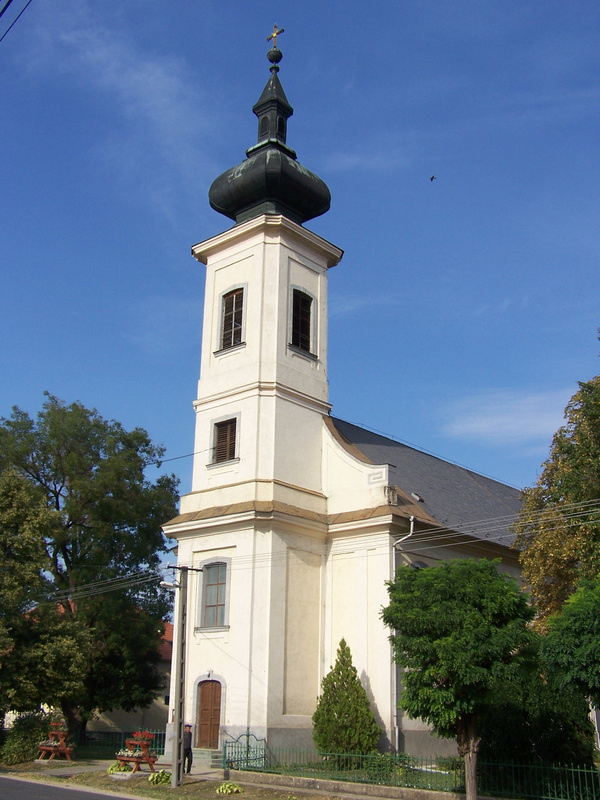 The Catholic faith has long been the prominent religion in Hungary, and although there are a handful of other churches that also kept records, even a search for non-Catholic ancestors may benefit from a visit to the records of the Roman Catholic Church. From the years 1730 to 1787, priests were required to keep records for all citizens of this Catholic nation, regardless of their religious affiliation (Greek Catholics*, Reformed Calvinists, Evangelical Lutherans and Jews included). When Protestants were first authorized in 1787 to keep their own registers, Hungarian imperial law required that they do so under Catholic supervision. 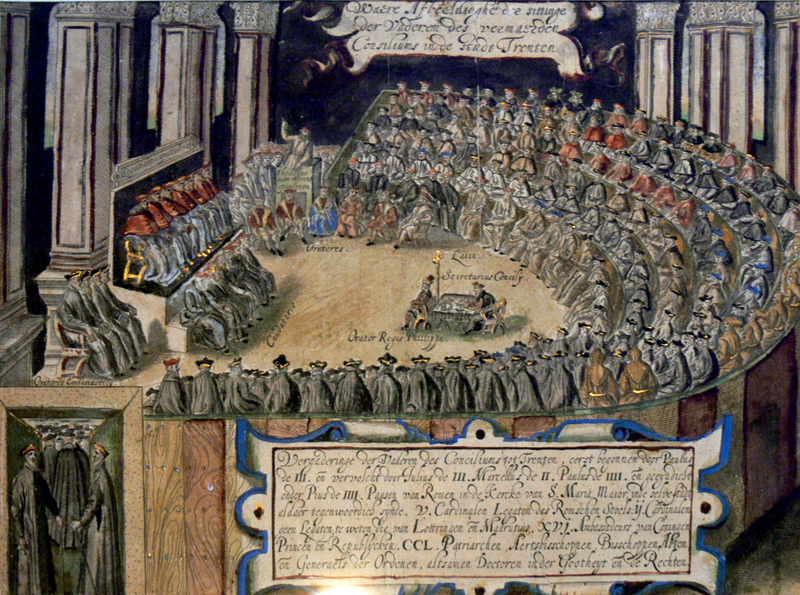 The 1563 Council of Trent had first required Roman Catholic churches to keep parish registers, however Turkish rule in many areas of the Austro-Hungarian Empire prevented churches there from complying. A few early Franciscan registers date back to the mid-1600s, however, although most parishes do not have entries until the 1680s or later (after the departure of the Turks). Hungarian Roman Catholic Church records are now the property of the state (through the National Archives of Hungary in Budapest: Magyar Országos Leveltár), although they are stored in various county archives. Hungarian Roman Catholic records with genealogical interest can come in several languages and include birth and christening registers (Kereszteltek Anyakönyve), marriage registers (Házasultak Anyakönyve) and death and burial registers (Halottak Anyakönyve). In Latin, the sacramental and death records are Matricula Baptisatorum, Matricula Copulatorum, and Matricula Defunctorum, respectively. This baptismal registry lists the birth of my great-great-grandfather Istvan Tóth in 1874. It indicates the religion of the parents, including the Greek Catholic faith of his mother Erzsébet. Hungarian Roman Catholic birth and baptismal records, particularly the more recent ones, will often include the birthdate along with the Baptism date, names of the child, parents, godparents (and sometimes grandparents), and town of residence. Marriage records will include the same basic information in addition to residence of origin for both the bride and groom, previous marital status, ages, names of parents and witnesses, and occupations. Church death records tend to have less genealogical information, although they may also include cause of death, birthdate and birthplace of the deceased, and names of survivors. 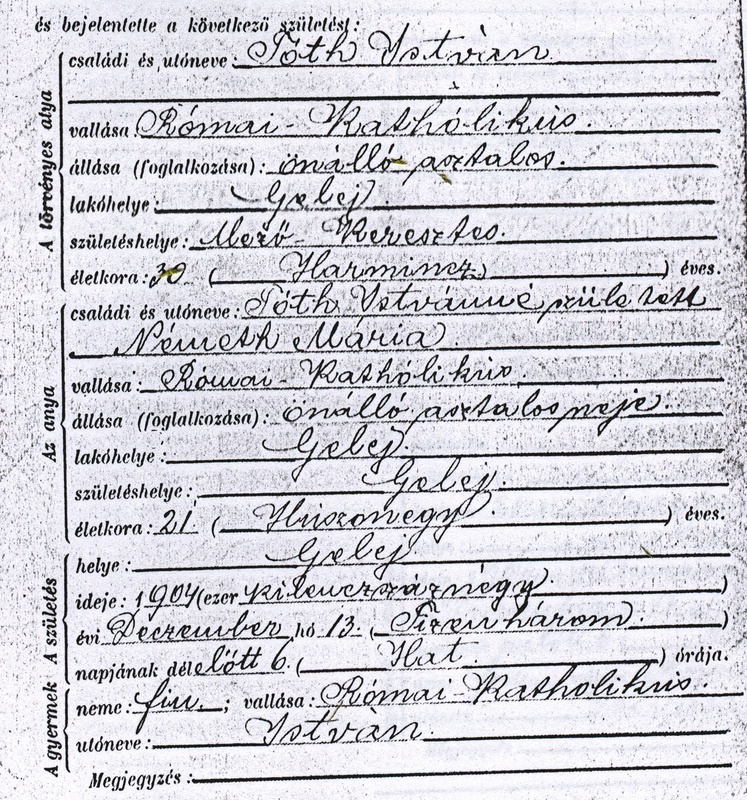 This 1904 birth record for István Tóth lists the birthplaces of each of his parents: Mezőkeresztes and Gelej, Hungary. Hungarian Roman Catholic sacramental and death records have been microfilmed up to the year 1895 (some later) and are organized by church and then chronologically by date. They are usually not indexed, so without a known date the search can be time consuming. Genealogist Felix Game has some helpful tips on reading Hungarian parish registers on his Austro-Hungarian genealogy website. Researchers unfamiliar with Hungarian names are often unaware that the family surname is listed before the given name. When the Hungarian records are in Latin, however, this order is switched and the surname is last. A good printed resource that I have on my shelf is Jared Suess’ Handy Guide to Hungarian Genealogical Records published in 1980 by Everton Publishers. Subscribing to Hungarian genealogy email lists can be also be helpful to get you in contact with others researching similar areas. Of course, don’t forget to stop by Nick Gombash’s Genealogy Blog and my 100 Years in America blog which both feature Hungarian genealogy. *Update: I am pleased to announce that I have written a small guide to Hungarian genealogy that I hope will be of help to both beginning and experienced researchers. If you are searching for Magyar roots, take a look at my Hungarian Genealogy QuickGuide™ published by Legacy Family Tree. In the opening words of the new Hungarian constitution: “O Lord, blessed be the Hungarian nation.” And blessed be you who search diligently through records and struggle to translate foreign documents in search of your Hungarian lineage. May St. Elizabeth of Hungary, King St. Stephen, and all of those that have gone before you tracing their Hungarian genes, smile upon you and give you their blessing. *Note: The Hungarian Greek Catholic Church comes under the category of the Byzantine or Eastern Rite Catholic Church. It originated in the 1600s after the Orthodox Ukrainian Ruthenes, Romanians and Serbs within the empire agreed to come under the jurisdiction of the Pope while being allowed to continue using the Orthodox liturgy. Most of these parishes began keeping registers in the mid-1700s. Today would have been my parents’ 64th wedding anniversary. They celebrated nearly 53 years together before they passed away (Mom in 2000, Dad in 2005). 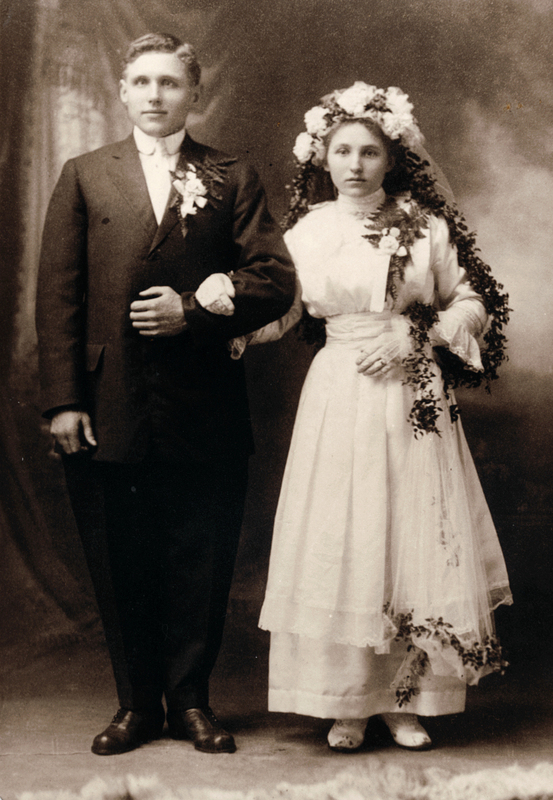 They were married in my mother’s church: S.S. Peter & Paul Byzantine Catholic Church in Duquesne, PA. My father, a Roman Catholic and belonged to Holy Trinity (first in Duquesne, now in West Mifflin, PA). It wasn’t a simple “let’s go and get married”—because while both were “catholic” churches—there are differences (role of the Pope, language used during the church services, liturgical rituals, and treatment of doctrine). I’m not going to even attempt to explain them in this post. You can read more here. For an even more detailed explanation, see “What are the Differences between Orthodoxy and Roman Catholicism?” by Father Michael Azkoul. In order for mother and father to get married they had to obtain permission to marry in her church; my father’s priest had to approve. My mother told me she was afraid that the priest might not approve the marriage because he was old-fashioned in his beliefs and practices, but the approval was granted, with the understanding that after that day, my mother would follow her husband to the Roman Catholic Church, and when I came along I was baptized and raised Roman Catholic. While growing up, I heard the terms “Greek Catholic” and “Roman Catholic” but to be honest there was never much of a focus on the differences. It wasn’t until I became interested in genealogy that I ever really paid much attention. Genealogists often consult church records for details about their ancestors, and as I did my research I uncovered some interesting information about my ancestors and the role religion played in their lives. During my genealogical research, I also learned that my father’s parents experienced a similar situation with their marriage in 1915. They were also married in S.S. Peter and Paul Church. My grandmother, Elizabeth was also baptized Greek Catholic, but then followed my grandfather, John (Jan) to the Roman Catholic church, and their children were all raised in the Roman Catholic faith. As I mentioned, my mother was baptized Greek Catholic; however her parents eventually left SS. Peter and Paul and joined St. Nicholas, the Russian Orthodox Church in Duquesne. While faith remained a large part of my grandmother’s life, my grandfather had some issues with church in general and eventually stopped attending, but that’s another story for a different post. 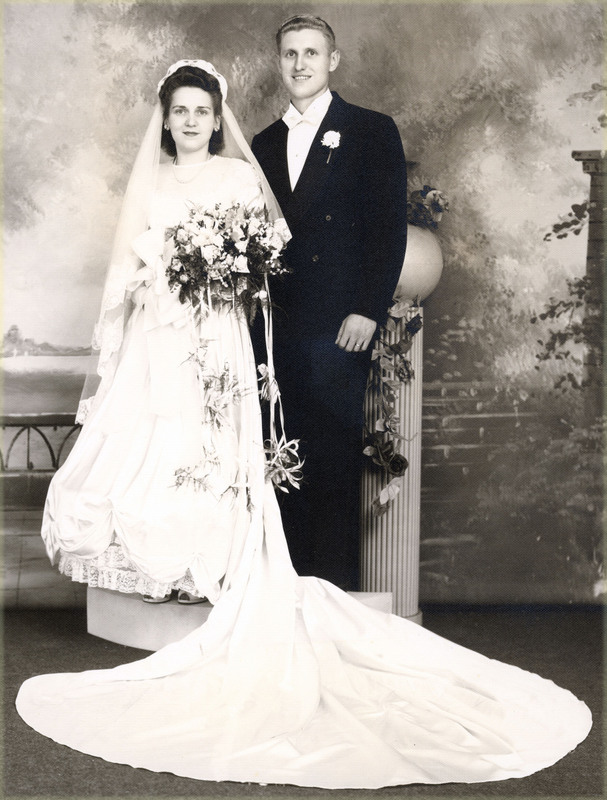 In remembering my parents today on their 64th anniversary, I reflect not so much on the differences between their two faiths, but rather on how their union was built on faith in God, love, mutual respect, and the commitment to teach their daughter by example. This Ground Blessed by Holy Ritual and Tender Prayer is Sacred Ground. Several dioceses have come into the 21st century, with searchable databases for their cemeteries. The Catholic Cemeteries in the Diocese of Spokane are on Facebook. 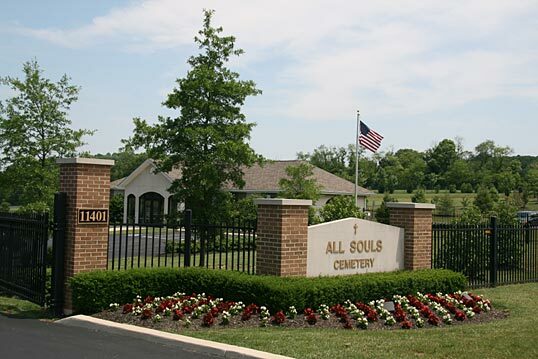 Rather than its own, relatively expensive online database, the Diocese of Memphis in Tennessee links to the popular site Find-A-Grave. At the website of Catholic Cemeteries of the Diocese of Phoenix, one may shop online for flowers and wreaths (using a credit/debit card or PayPal) and have them placed dirctly on the gravesite. And finally, there is a Catholic Cemeteries Channel on YouTube. If you know of other unique or interesting Catholic cemetery sites, especially those with searchable databases of Catholic cemetery records, please share in the comments here.